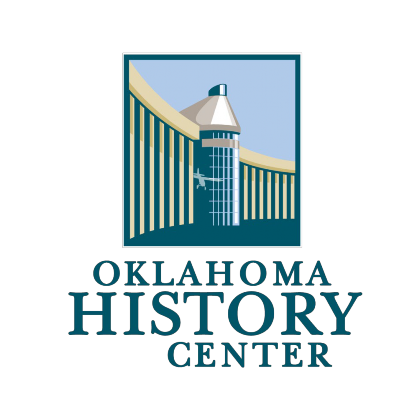 I am going to the Oklahoma History Center today! 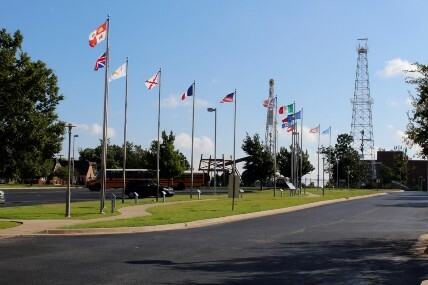 As I drive in I will see the Oil and Gas Park, and the 14 Flags Over Oklahoma outdoor exhibits. When I see this sculpture of the two Apache warriors, I will know that I am here! 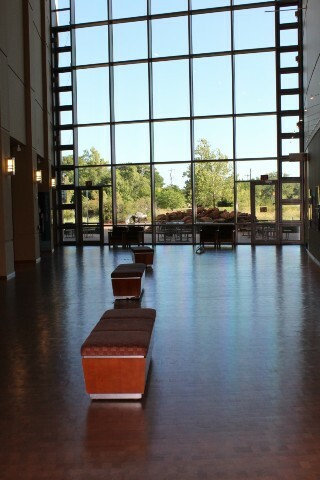 The entrance to the museum is just through those doors. 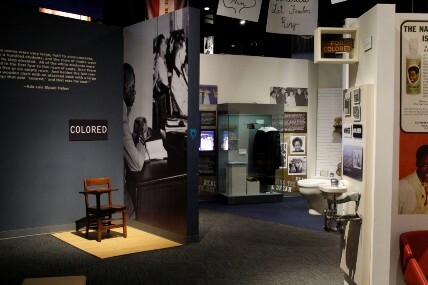 I will purchase tickets to the museum here. 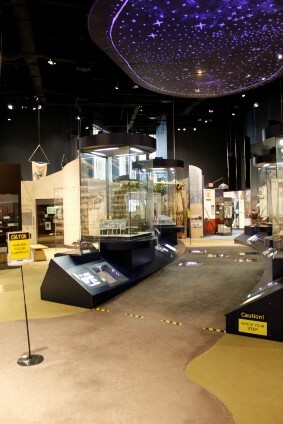 A map of the museum is available and will help me through the museum. I will receive a sticker to wear on my shirt while I am at the museum. I may have to wait in line to buy my ticket. 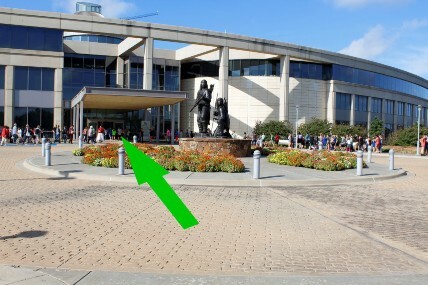 I might see a volunteer at the History Center. 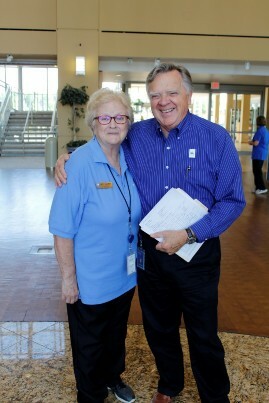 They wear a blue shirt and have a name tag. Staff will wear different types of work clothing, but they all have name badges. Anyone with a blue shirt or a name badge can help me. 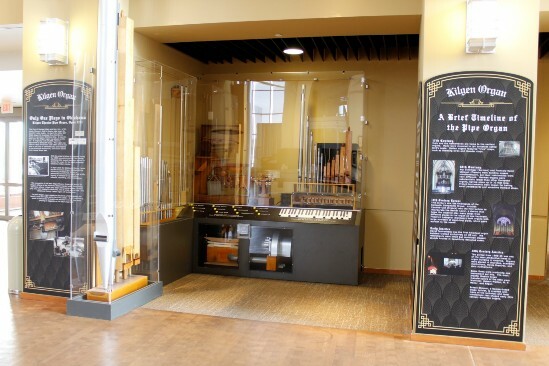 There is a display near the front doors, where I can see pipes and wooden parts of a theatre organ. I can press buttons to hear the sounds an organ makes. The sounds may be very loud. There will be many screens and sounds while I explore today that may be very loud. I can use the elevators, or I can take the stairs. 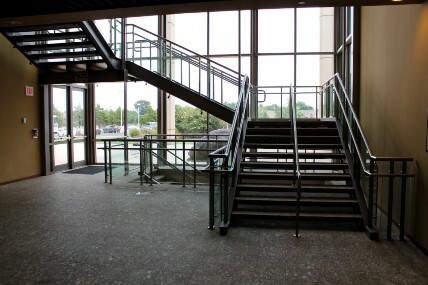 Galleries are on the first and third floors. 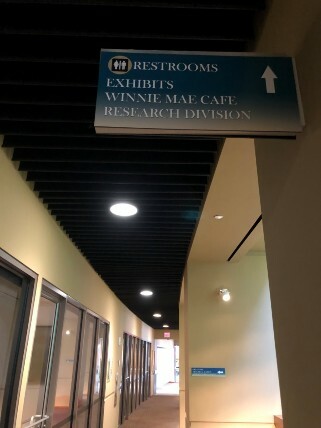 If I am hungry I can visit the Winnie Mae Café on the third floor. 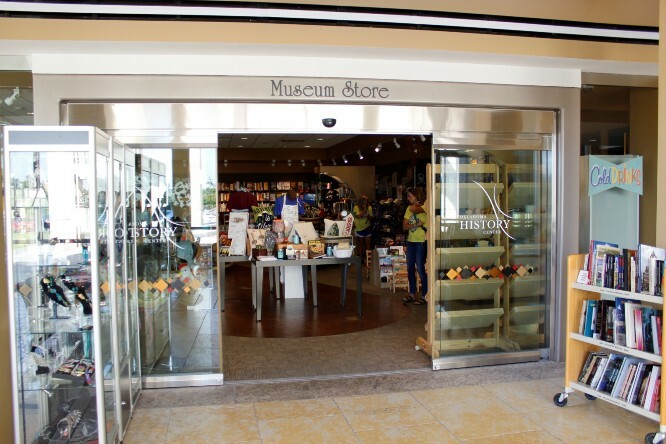 If they are closed I can get a snack at the Museum Store on the first floor. I will need to finish my food and drink before going back to explore the museum. If I see a green sign, I know I can touch or play with these items. I will remember to be careful with anything I touch. I cannot touch if I see a red sign. Sometimes these signs might be very close to each other. 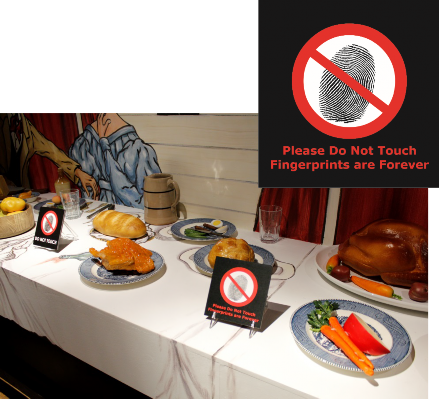 I will see these signs in all of the galleries. Restrooms can be found at either end of every hallway on all three floors. 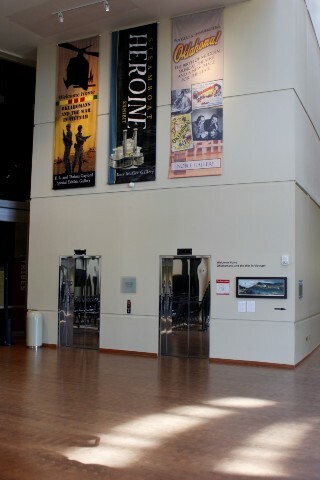 This is the hallway that leads to the exhibit Welcome Home: Oklahomans and the War in Vietnam. I might hear sounds a helicopter makes as I walk towards the gallery. I can look for signs that might help direct me to places I need to go in the museum. 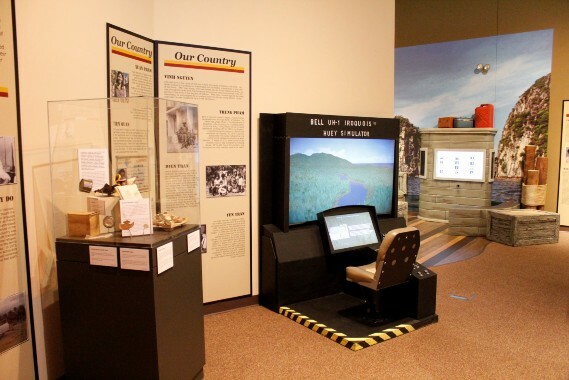 This fun game can be found on the first floor in the special exhibits gallery, Welcome Home: Oklahomans and the War in Vietnam. If someone else is playing the game, I will need to wait my turn. 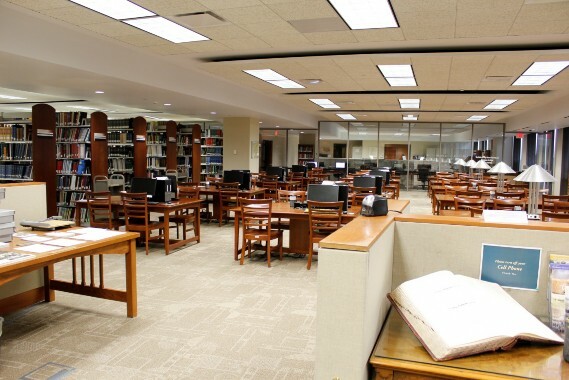 If I need a break or a quiet place, I can go to the library on the first floor. I can sit there until I am ready explore more. 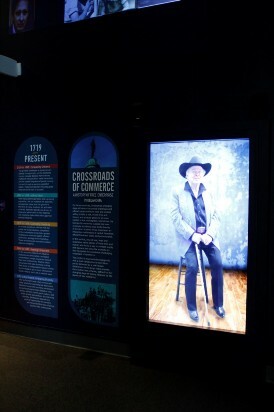 In the Crossroads of Commerce exhibit there is a large screen. 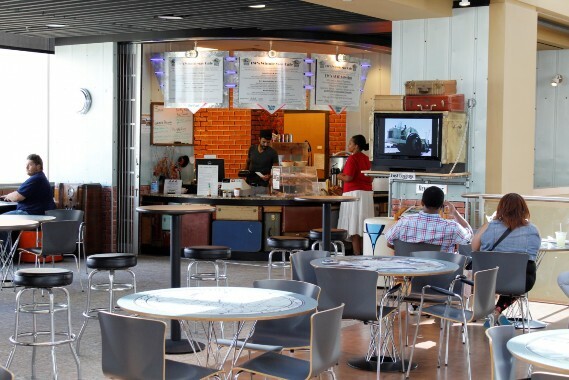 As soon as I step through the doors, a man will appear on the screen and start talking. If I don’t like the sounds, I can leave the gallery. There are 4 more large screens like this in the gallery. 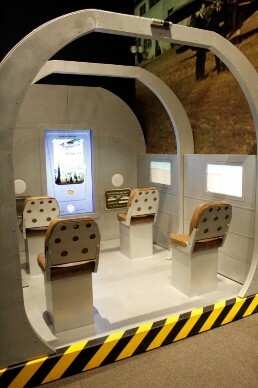 The airplane area in this same gallery will let me experience the sights, sounds, and feeling of taking off! 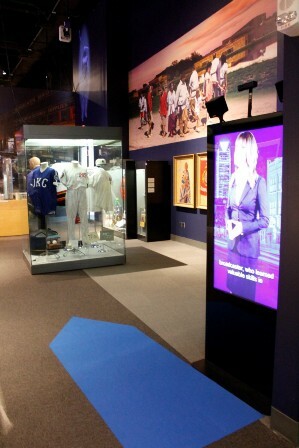 I can find my way through the Crossroads of Commerce exhibit by looking for colored arrows on the floor. 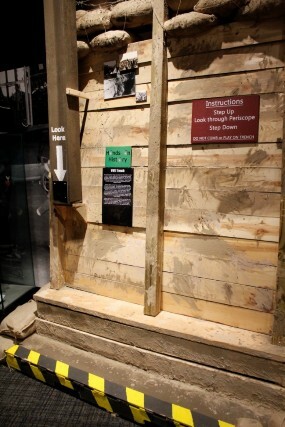 This gallery has its own exit! I don’t have to turn around and go out the way I came in! 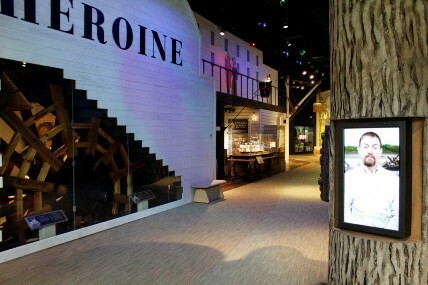 The We Are Who We Were American Indian gallery is also on the first floor. Start by walking straight ahead where I see “Origins.” I can turn right to the “Tribes” area, but that is meant to be the end of the exhibit. Be sure to look for raised floors and watch my step! 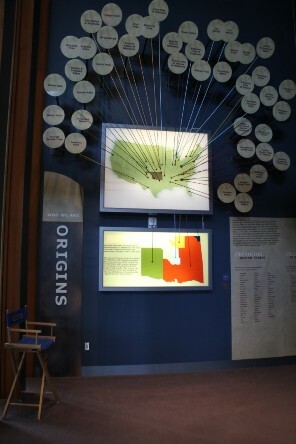 The Noble Gallery has many places to explore and learn about early Oklahoma history. 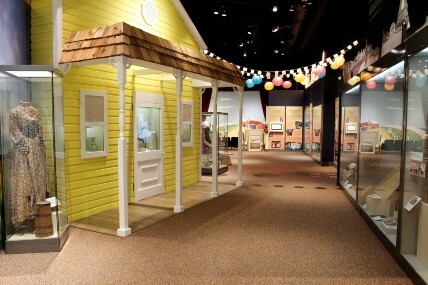 I will see exhibits about land runs, one-room school houses, ranches, farming, law and order, and many more! 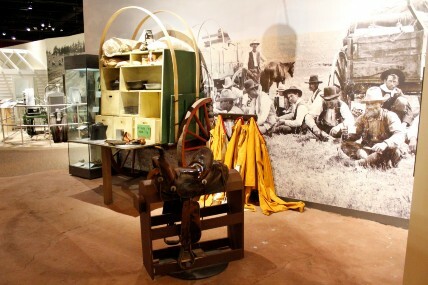 There are fun places in this gallery where I can sit on a saddle and pretend to work on a chuck wagon. 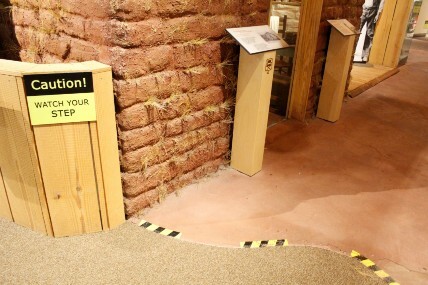 There are areas in this gallery that have a raised floor. I will need to watch my step! 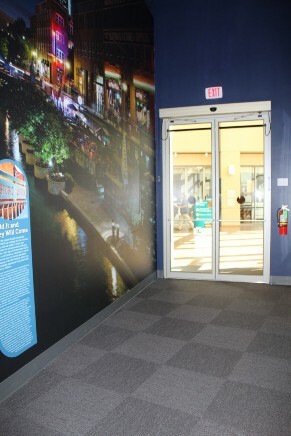 In this gallery, I will also find a pink kitchen, an exhibit about the musical Oklahoma!, and a time capsule called the Century Chest that was buried over 100 years ago. 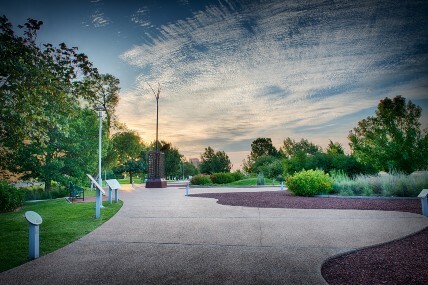 This gallery has a lot of different paths to walk, but it’s okay to choose my own way. 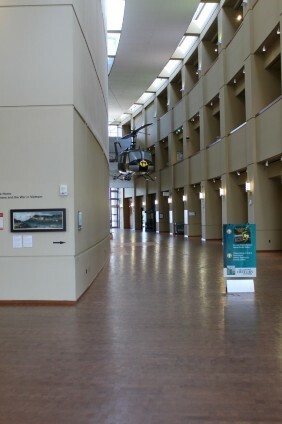 In the Kerr-McGee Gallery I will find exhibits about the steamboat Heroine, oil and gas, African American history in Oklahoma, and Oklahomans who served in the military. 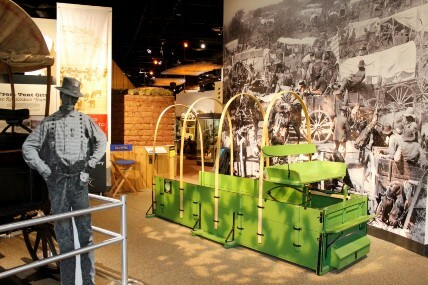 In the military exhibit area I will find something that looks like a trench (photo on the left). A trench is a deep hole in the ground soldiers hid in and fought from during World War I. I can look through the view finder and see other soldiers from across the field. 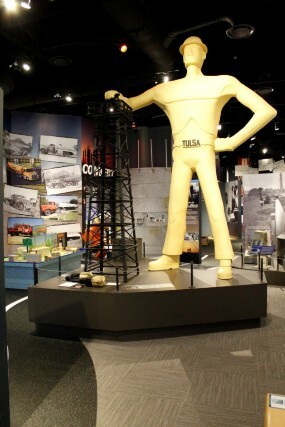 The golden driller is in the oil and gas exhibit and is a smaller version of the real statue in Tulsa, Oklahoma! I can go outside to see more exhibits, or just take a walk. There are picnic areas where I can eat my lunch if the weather is nice. 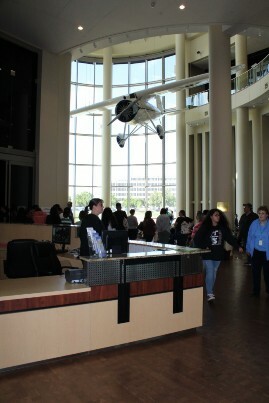 There are other areas in the building that I cannot go, such as the offices. Some important rules to remember: I will stay with my adult. I will follow directions. I will speak quietly, and I will not run. 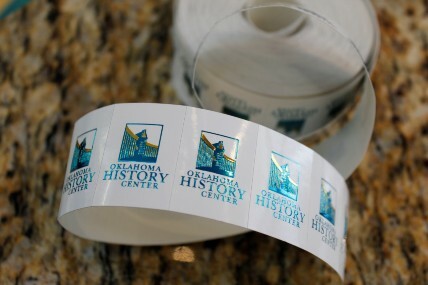 I can visit the Museum Store before I go home so I can remember my visit to the Oklahoma History Center!